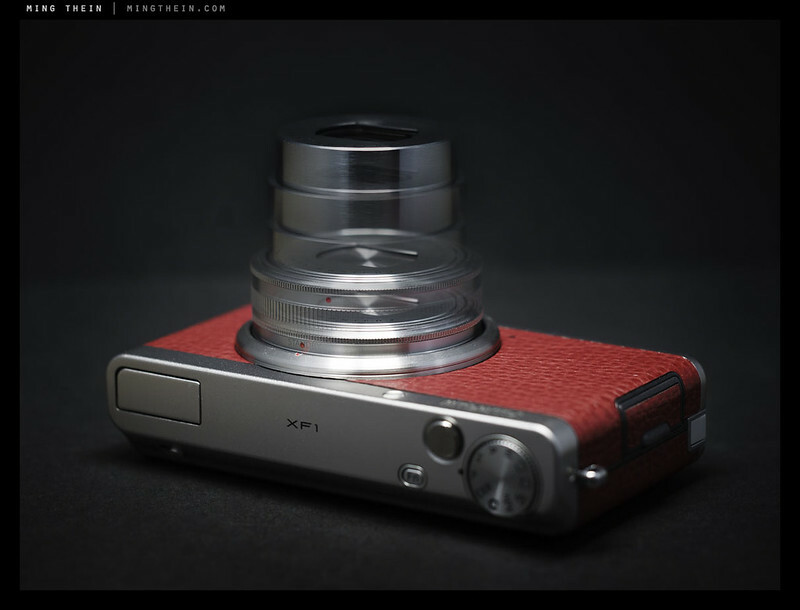 One of the more interesting compacts in recent memory is the Fuji Finepix XF1. Announced at Photokina 2012, it’s a pocketable metal-bodied camera with a moderately sized sensor – not the 1″ of the Sony RX100, but not the usual 1/1.7″ type either. It shares a sensor with the Fuji X10 – the 12MP 2.3″ EXR-CMOS, presumably it’s the updated version without the white orb issue; I certainly didn’t see any during my testing. The camera is definitely retro-styled, with a faux-leather skin covering the middle portion of the body, with warm silver metal covers top and bottom – presumably anodized aluminum. It’s certainly a pleasingly tactile object to handle. For the style conscious, the camera is available with black, tan or red pleather; I opted for red since the camera was ostensibly a present for my wife. The camera’s biggest party trick is its lens: a 25-100/1.8-4.9 equivalent that both sports a mechanical zoom ring – slowly becoming a rarity even for M4/3 cameras – and a collapsing mechanism that lets it drop back into the camera body to keep things pocketable. Presumably it’s an evolution of the design used on the X10, though obviously not as fast due to size constraints. Again, like the X10, it also powers on the camera. One twist into standby mode puts the camera either into ‘ready’ position (if enabled, eats battery); another twist to the wide end of the zoom turns the camera on. I would love to have a separate power switch, too – this would make it a fantastically responsive camera as you could have the desired focal length preset before powering on; something I wish the otherwise very fast Sony RX100 could do. Lens in a range of positions from fully retracted to fully extended. Needless to say, zooming is quick and easy. The mechanism itself is reasonably smooth, but it could use a bit more damping to give a higher quality feel; you have the impression of a lot of light pieces of plastic or thin metal moving around inside the lens barrel as you turn it. In fact, the camera is quite light – generally a desirable quality – personally, I’d prefer a bit more heft. Finally, stiffer detents between the 25mm position, STANDBY and OFF would help avoid accidental power ups/ shut downs. The only other notable mechanical gubbin is the release lever for the dinky pop-up flash hidden in the top plate. It would seem that the feature race hasn’t ended for the enthusiast-level compacts; the XF1 is packed with all sorts of modes and customisability; the only three that are of any real note are the dynamic range optimiser, built in level and customizable buttons. The former does some strange things with the sensor and ISO range to extend highlight and shadow dynamic range in JPEG files only; it seems to work. I’ll say more on this in the image quality section. The built in level is an unobtrusive horizon line through the middle of the frame that works for roll only, but shows a single green line when the camera is level. It’s actually quite handy on a camera of this size, because it isn’t always easy to hold it stable with one hand – not that you’re going to be shooting the XF1 singlehanded with the mechanical zoom. Finally, there are effectively no less than seven programmable buttons: pressing E-Fn brings up a virtual overlay where the user’s choice of shortcuts are assigned to the four directions of the D-pad, playback and record buttons on the back; there’s also another function button on the top plate behind the shutter. Annoyingly – perhaps out of muscle memory – it’s in exactly the same place as the power button on just about every other compact, and I find myself repeatedly hitting it and wondering why the camera won’t turn on or off, but instead bring up a menu. The only function which I’d want to assign to this direct-access key (you don’t have to press E-Fn first) would be AF area – and guess what, this also happens to be the only one of the customizable functions that’s missing from the list of possibles for this button. Grr. It’s worth noting that there is no way to separate AE lock and AF lock from the shutter button – so the half-press-and-dance routine may result in some undesirable metering. The XF1 also has a lens-shift based image stabilization system that moves a group of four elements. The best word to describe it is ‘aggressive’; it reminds me of the early days of IS where the image would sway a bit as the stabilizer locked down. I’m estimating it’s probably good for 2-2.5 stops. It certainly isn’t as effective as the Panasonic OIS system, which I think is probably still the class leader for compacts. Overall, there are a lot of things I like about the UI, and a number I don’t. Playback is done well, for a change on a compact – you can power on the camera straight into playback mode by holding down the play key; there’s no need to extend the lens. Then, press in the top command dial in to go to maximum magnification, and then you can compare images at the same zoom level and position by moving the rear dial. But this is where another issue raises its head: the camera has two command dials, which is the same number as any camera of this size and most pro DSLRs. Yet by default they seem to be dormant or redundant most of the time – only in M do the two dials do anything independently. It would be sensible to have one serve as direct acesss to exposure compensation and the other as program shift/ aperture/ shutter speed in the other modes, but no. You have to press up on the D-pad to enter exposure compensation, then use either dial to change it. And then press up again to go back to changing the main exposure setting. Still, at least it’s a shooting priority camera. It just seems that there are a lot of wasted opportunities here that would have let Fuji knock one out of the park with this little camera’s handling. There’s still hope for a firmware update, I suppose – Ricoh’s GRD series is very much the leader when it comes to compact camera handling; and it’s done with no more buttons than the XF1 has. Other little things – the LCD isn’t the highest resolution out there, with about 460,000 pixels; you can just about make out the pixel mask if you look closely, but most of the time it’s a non-issue. The screen gets pretty bright for daylight use, but of course that comes at the expense of battery drain. I’d like to see something a bit less contrasty, though; it doesn’t give that good an indication of overexposure – but there’s a blinking highlights warning in playback mode to get around this. Fortunately, the XF1 seems to be fairly miserly with power consumption, yielding about 300 frames on a charge of it’s quite physically small battery. The lens-based on-off switch makes it quite easy to power the camera off between frames, which of course helps with battery life. The camera also shoots full HD video at 1080p30, which is nice but not something I use – so I’ll leave it to others to test. I was not impressed with its predecessor’s focusing speed – despite having ostensibly the same sensor and a faster lens, the X10 is not a fast-focusing camera. This isn’t the main problem, though – it freezes between half-press and achieving focus, which means that a) if you move slightly, and you will because it’s a compact, then you won’t see it until you get a sudden jump when the camera focuses; b) the delay is annoying. In fact, this was the main reason why I didn’t buy one. I’m pleased to report the XF1 fixes this. Whilst there’s still a very tiny perceptible freeze, it’s almost negligible. I certainly don’t notice it in practical use. Overall; the XF1 is a fast camera and doesn’t keep you waiting. It shuttles around RAW or JPEG files with equal indifference, except perhaps write time is noticeably longer. That said, I wouldn’t recommend using this camera to shoot RAW even though it can; and this has a lot to do with the quality of the in-camera processing, and the absolutely crappy results obtained via ACR. This is a bit of a shame, as the lens quality is very impressive – better than the Zeiss-branded lens on the Sony RX100. 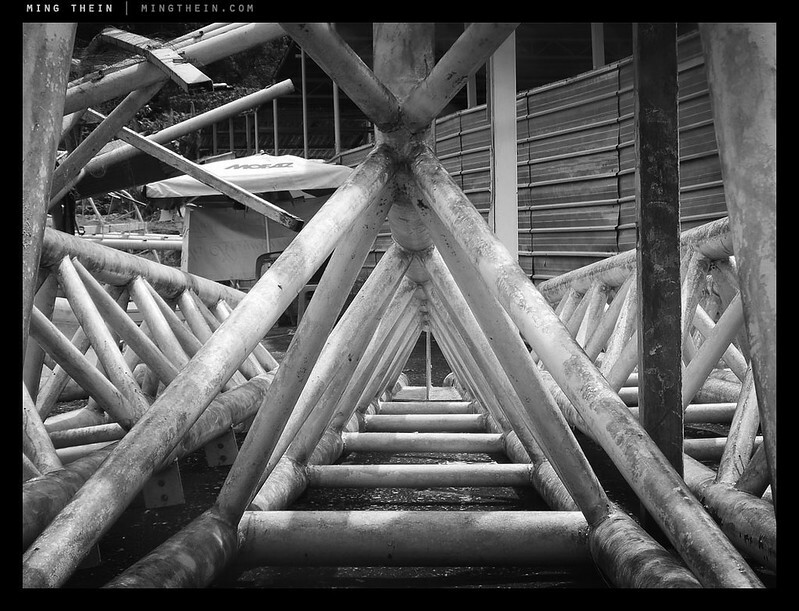 It doesn’t suffer from the same flare or low contrast at wide angle and f1.8; the corners are also much sharper. More impressively, this level of optical quality is maintained through the telephoto end of the range, too. (It could also be because the lens has to cover a much smaller image circle than the RX100’s.) There is some CA in the corners, but flare is impressively low, microcontrast high, and color rendition pleasing. Despite Fuji’s claims about the camera’s bokeh-generating ability (and 7-bladed diaphragm) – the reality is that you’re only going to get a tiny bit of background separation if your subject is close, you’re shooting at 25mm and f1.8 equivalent, and the background is very far away. The RX100 has more potential for subject isolation through shallow(er) depth of field, and I still treat that as a program mode-hyperfocal camera. As with every small-sensored camera, don’t bother with aperture priority: you have no control over depth of field anyway. I only use program and manual – either when the built in flash triggers speedlights, or in the case of the XF1, you need exposure times longer than a second – and remember to disengage auto ISO first, otherwise you can’t go any slower. I find the image quality of this camera paradoxical. On one hand, the JPEG output is amongst the best I’ve ever seen from a compact – especially when using the trick DR400 mode, which supposedly extends the camera’s tonal range by two stops – on the other hand, the RAW files are amongst the worst I’ve ever seen from any camera, and far below even its own JPEGs. The RAW files are far noisier, have poorer dynamic range, less detail and acuity, and just seem very dull by comparison; it’s akin to the difference between RAW and JPEG on other cameras, except in reverse. The only conclusionS I can come to are that Fuji has some extremely sophisticated processing algorithms inside this camera, the ACR converter algorithm just doesn’t work for this sensor, or both. 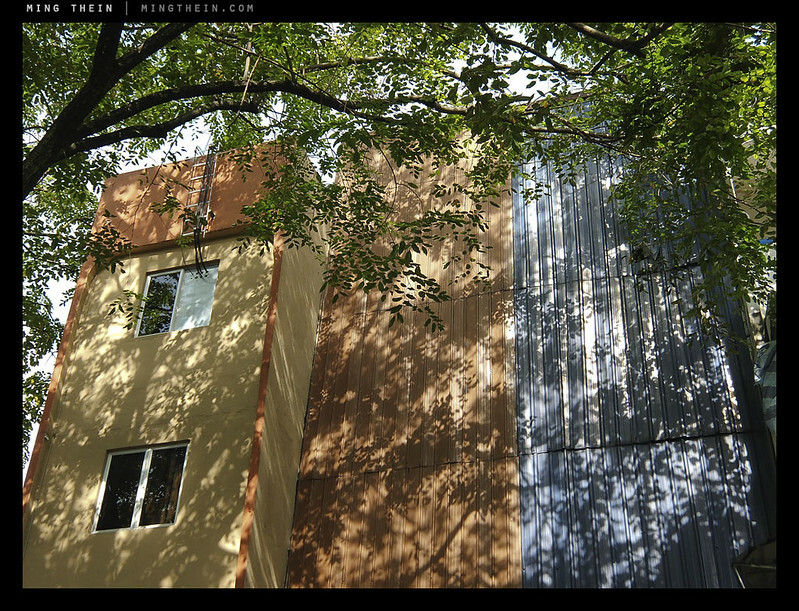 It is widely known that ACR doesn’t really do a good job with Fuji files, but this difference almost defies belief. Needless to say, I’m not going to be using RAW mode on the XF1 it will be set to JPEG DR400 mode for my wife to use. For the purposes of this article, I shot JPEGs and did some minor tweaking to them with Photoshop. What on earth is going on here? That’s not a mistake: the DNG (converted via ACR 7.2 from the original Fuji Raw file) is on the right. Full size file here. All that said, the image quality of the JPEGs is superb. Noise is low, detail is high (though oddly blocky in places, somewhat reminiscent of the older SuperCCD designs) and the tonal rolloff in the highlights is outstandingly well handled. Note that you really do have to use the DR400 mode to achieve this; otherwise the highlights blow just as fast as with any other compact. The files just look natural. The files actually remind me strongly of the 6MP SuperCCD FinePix F10, F11 and F30/31fd cameras; perhaps this is their spiritual successor. Of course, if you want there are also the usual super-saturated, B&W and toned modes; Fuji labels them with the names of its film – Provia, Velvia, Astia – though I doubt any of the XF1’s buyers even know what those things are, let alone what they should look like. JPEG noise crops. Full size here. 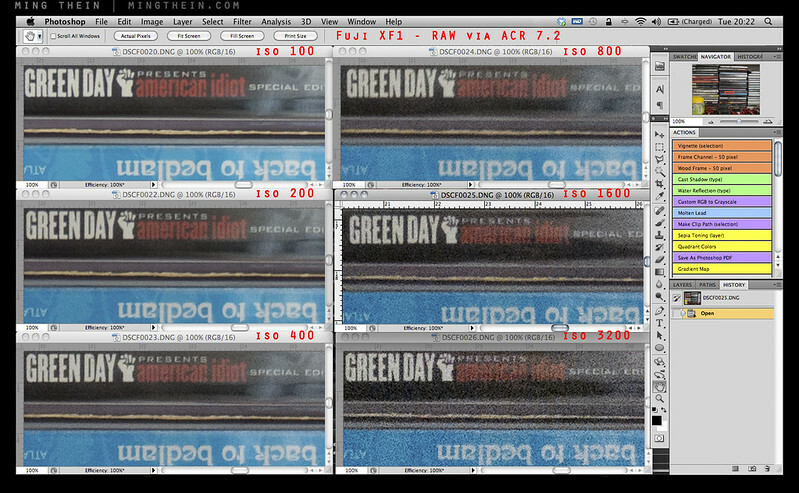 RAW (via ACR) noise crops. They just simply look worse than the JPEGs. Full size here. On the noise front, I would have no qualms in using this camera up to ISO 800 in JPEG mode; 1600 and 3200 are noticeably softer, but surprisingly close in terms of both noise and detail retention. Thus, 3200 is probably a viable option in emergencies. Fuji does a pretty good job balancing noise reduction and detail here. Dynamic range noticeably decreases when you increase ISO, note that in order to expand dynamic range, the camera increases the ISO. This is presumably to allow additional sensitivity in the shadows. Yet the camera is smart enough to only increase the ISO past the sensor’s base of 100 if it detects that the dynamic range of the scene exceeds the sensor’s native capabilities – neat. This is why you might see EXIF data for a photo in good light with ISO 400 – it’s a wide dynamic range scene – or ISO 100, if the contrast levels are manageable. 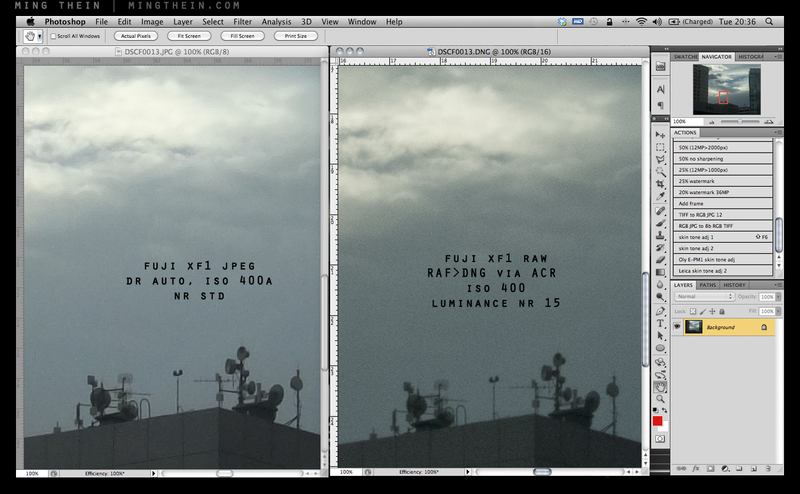 Note that you do see a bit of noise in the shadows at DR400 mode, but at least they’re not blocked up to black. DR modes do make a noticeable difference. 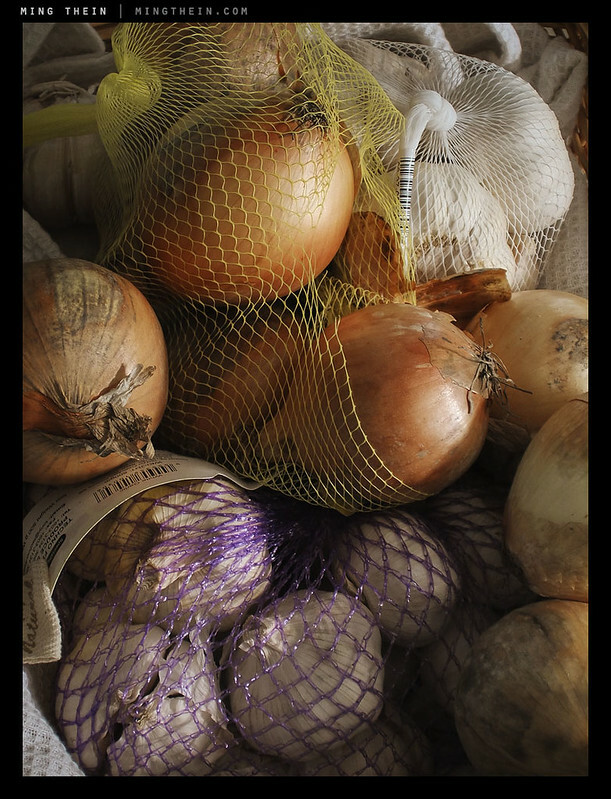 Note the garlic at the bottom; the leftmost image is DR100 (i.e. standard) mode; the right, DR400. Full size crop here. Confusingly, Fuji makes the DR AUTO, DR100, DR200 and DR400 modes available both in the full-resolution 12MP mode, as well as on a separate EXR position on the mode dial. Here you can choose for dynamic range, resolution or low light priority; I don’t see the point unless you’re not going to do any processing afterwards at all. I suppose it must be a kind of smart auto mode, though there’s also the camera position, ADV(anced) and scene modes on the dial – how on earth does this many options make things less confusing to the camera’s intended audience, or more useful to the advanced user who just wants a good compact? Personally, I’m leaving it in P mode and DR400. If I want lower noise by pixel binning, I can do that myself afterwards in Photoshop – the results between the 6MP SNR (EXR Low Noise) mode and a downsized 12MP file in P mode look pretty much the same to my eyes. What Fuji should have done is made an auto mode that maintains best perceptual image quality: in good light, shoot at 12MP, say up to ISO 800; in high contrast situations, automatically use DR400; finally, when the required ISO goes to say 1600 or above, then start binning pixels down to 6MP. So where does the XF1 stand against the other competition in this segment? In the same price and size bracket, we have the Panasonic LX7/ Leica D-Lux6; the Canon S110, and the Sony RX100 – though the latter is a bit more expensive. All are moderately pocketable. I’ve excluded the Nikon P7700, Canon G15 and Olympus XZ2 because I don’t think these are pocket cameras anymore. I’ve not used the Canon extensively, so I’ll refrain from commenting on that; it and the LX7 both use a smaller sensor than the XF1, and it shows. The Canon is perhaps at the greatest disadvantage because it has the slowest lens and the smallest sensor; the XF1’s image quality – certainly the JPEGs – are noticeably better. The LX7 has a lens that’s fast at both ends and optically excellent, which claws back some of the Fuji’s sensor advantage; it also has more isolation potential as the long end of the lens isn’t f4.9. I’ve always liked the LX series as macro cameras too; they focus very close throughout the entire zoom range, not just wideangle. This leaves us with the RX100: it on the other hand isn’t a very good macro camera at all because the lens performs poorly at close distances until f4 or so; and doesn’t focus close throughout the rest of the range. However, it does have the best sensor of the lot; clearly a notch above the Fuji, and challenging Micro Four Thirds. I wouldn’t use the Fuji at ISO 1600 and very low light; I’ve done higher ISOs with the Sony and still gotten pretty impressive results. Not a lot in it, size-wise. Fuji XF1 if you are a JPEG shooter and don’t plan to do much, or any, postprocessing. Panasonic LX7/ Leica D-Lux6 if you shoot macro, or want to try and get some depth of field control. Sony RX100 if you want the best image quality in any compact camera available, period. Canon S110…I actually can’t think of any good reason to buy this – if you need GPS, perhaps. The Fuji Finepix XF1 is available here in several colors from B&H and Amazon. I got the XF1 last year on sale, about $200 USD (I live in the USA). I have been very pleased with the JPEGs as you noted in your review, and wasn’t able to do much with the RAW photos (though I am not an expert in RAW processing). XF1 has clickable command dial, easier to hold supports Auto-ISO in manual format, better dynamic range, better screen. It’s so very fuji at the core. I’m perplexed the XQ1/2 doesn’t have command dial. It’s really a joy to use, either EXR or AE or Manual mode. I own the XF-1. I am puzzeled about the sensor though. I have noticed that large JPG is 4000×3000 while Raw is fixed 2048×1536. There is little to no reference on the manual for what the raw resoltution should be. This may in my oppinion explain the poor raw iq. I had asked Fuji, but no reply so far. This is important to understand as I want to shoot at native senzor resolution. Any processing I will do in post. Also is not clear for me if all other settings (d-range, color, nr, sharpening) will affect raw , as they should not I think. So please share with me you thoughts. That’s not right. Raw should be 4000×3000. I had checked,mine are 2048×1536. Can you confirm yours are 4000×3000? Tried both Raw only and Raw+ jpg. I no longer have the camera, but they’re definitely 4000×3000 unless you’re in one of those funny DR modes. Hi have you also tried fuji Xq1 14mp camera any visual differences on the samples compare to fuji xf1? No idea. Haven’t used it. Even if there is a difference, it’s unlikely to make your pictures any better since composition isn’t a function of the camera anyway. Just buy if you want it. It’s getting late into 2013, and so I suppose nobody cares about a camera announced a year ago anymore. However, I use an XF1, and I have to say, I haven’t experienced any problems whatsoever with the raw files it produces. In fact, I rather like them. They are easily as good, and maybe better than what I used to get out of a Canon S95. Mind you, I just used the Silkypix-based software that came with the camera. I’m very happy to be back using Fuji and with an FX1. 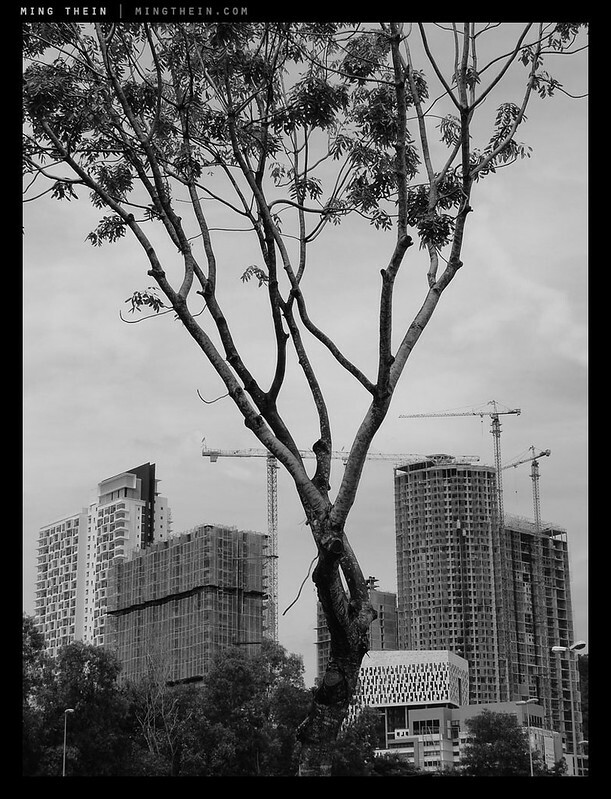 With Olympus E-PL1 just retired, Panasonic LX3 within reach and Fuji S3 DSLR retired to the archive with several others, I had been relying on a Chinese Jiayu G3 Android phone with quite good 8mp camera… basically because it was always available. I find now that the FX1 and J-G3 fit in a larger pocket together and it’s excellent to have the additional artistic capability the XF1 offers so readily available. The twist on start up is a similar experience to opening the Olympus 4:3 14-42 lens, without the need also to use the power switch. The E-PL1 produced wonderful images, but a flaw developed in the electronics. It was bulky in pocket. The FX1 and phone together seem comparable in weight to the LX3 alone, and the LX3 is thicker. I seem almost always to run into problems with the complexity of operating the LX3. E-PL1 was a breeze. Not impressed by the way Panasonic and Olympus raced each other downwards with successive models of E-PL and GF, so not drawn to any pocketable successor there. Very impressed by the way FX1 has menus that seem obvious, a good printed manual and on screen advice that is clear. And the colour! E-PL1 pictures were good looking, Panasonic always not quite satisfying, like big bowl fast food. Oh, and I have a Sigma DP1 here, colour palette splendid for submitting very lovely landscapes to the ladies art group. Fuji colours continue to reflect the sensitivities that were in Fuji’s emulsion film types. Seen sometimes still in movies. You can explore. But somewhere along the line Fuji produced some really rag-bag cameras. Confronted as others by the reality that getting above 6 or 8mp on standard chips meant rubbish outcomes, as still the case with many p&s. Now they seem to have a fix for that and this FX1 seems to me to combine quality and a price I can afford. I am very pleased to be able to slide FX1 in and out of my pocket and take good photos quickly AND UNOBTRUSIVELY. The metallic sounds of the lens are I suppose to be expected of such a setup. I don’t think that means it will fail soon. But I was pleased to pick up a 3 year warranty with my purchase… Fancy staying with one camera for three years. Any moment now I might be living sustainably! Excellent review! Just bought a new FX1 from Amazon for $310. Regardless of it’s shortcomings, I like the size, features and “look” of the camera. And I think this camera will be a classic someday. And I will follow your advice about keeping it in P mode and DR400 for the best results. Thank you. thank you for the very helpful review! I think the xf1 could be the right cam for me. But there is also the Lumix LF1. It has a lot better specs than the XF1 (better screen, better IS, longer tele, one hand use) but what is with image quality, especialy in jpeg? Do you have any experience with it? Is there a chance that you get one for a review? 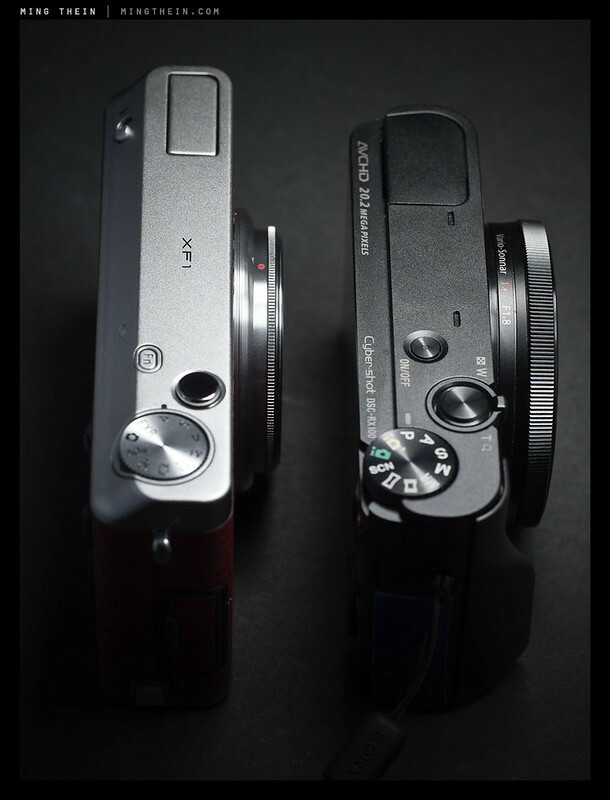 Or a quick comparison with the XF1? Nope, haven’t seen or tried it – they’re not even available here yet. Hi Ming! Thanks so much for the detailed and well-organized review. Also really like your photos! Just a quick question – I already own the Sony RX100, and am relatively happy with it as P&S cameras go. However, I can buy a new XF1 where I am for just $300. Any reason that I might want both? (I don’t bother shooting RAW with a P&S). Thanks again! None that I can think of, unless you really have to have that mechanical zoom ring. Thanks for the advice. I guess I also failed to mention that I also own an x100S, although since I got the RX100 it has spent a lot of time at home. Ha. Thanks. I was just about to buy this camera, mainly because of the manual lens which might be less prone to the feared “lens error” in case the motor fails. But if the RAW files are almost unusable I have to think of an alternative. RX100 is too expensive for me. The LX7’s lens is probably the best I’ve ever used on a compact, and is excellent in every right in its own – without qualification. At the end of your review, you mention the only reason to get a Canon S110 over this model is if you want GPS, but Canon didn’t carry over the GPS functionality from the S100 into the S110. Sorry, didn’t make it clear – it does GPS tagging via wifi. Outstanding review! Very objective and factual. I was seriously considering the Canon S110 and G15, however, based on your comments I tried and purchased the Fuji XF1. You’re totally “spot on”. I’m primarially a JPEG shooter that was searching for a pockatable camera to supplement my OLY Pen E-P3. I could not be more satisfied with my purchase and enjoy the manual control the XF1 offers. FYI the power on/off sequence is intuitive — no adjustment time necessary at all. Thank for the review Ming. I am considering buying a small “high end” compact. After checking few reviews I am left with Fuji XF1, Pany LX7 and Sony RX100. After recent price drop in UK Fuji seems the favourite, it’s 259GBP vs 450GBP on Amazon – huge difference. 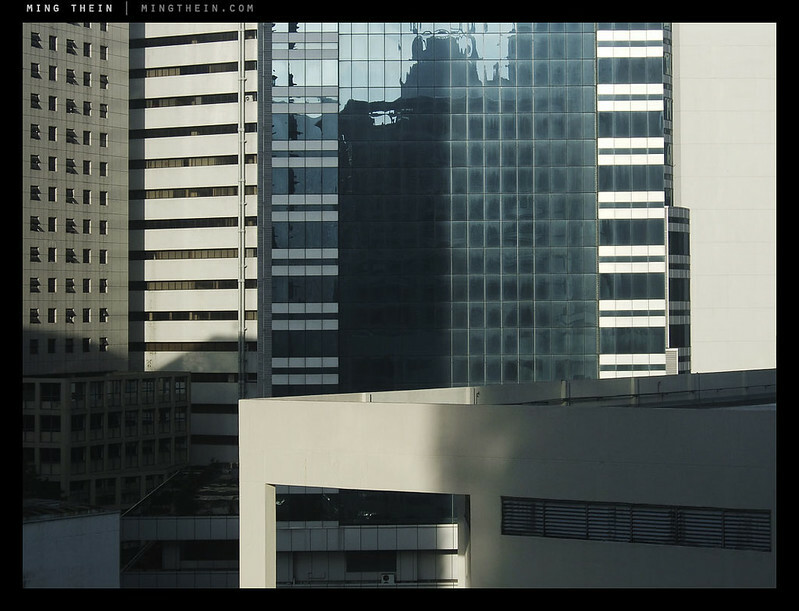 The quality of raw files bothers me a lot though, since I am raw shooter. Has Fuji solved the problem somehow? Maybe through firmware updates? Nope. JPEGs are still the way to go with the XF1. I’d take a good look at the LX7 if you shoot tele or macro a lot, though – the camera’s lens speed and OIS gives it a huge advantage over both the Sony and Fuji. Could you please help me with one question about this camera. At sites like dpreview and http://www.digitalversus.com/digital-camera/face-off/ you can compare several camera’s studio photos. And what I can’t understand is why at all these tests sharpness of FX1 is worser then it’s competitors while you wrote that it has one of the best sherpness’s among it’s class. I really like the way this camera looks and as I usually make jpeg photos it would be perfect for me but this moment with sharpness doasn’t let me make final decision. P.S. Among other possible candidates for compact travel camera I see Nikon P7700, Canon G15, Olympus XZ-2 (but it is the most expensible one among others), maybe Panasonic Lumix DMC-LX7… Not looking at RX100 as it is too extremely expensive! My sample – there may be lens variations – delivers excellent JPEG sharpness when compared to the other cameras I normally use, even at 100% magnification. It could be their combination of settings or it could be noise reduction (I turn it off). RAW sharpness is poor, and doesn’t seem to deliver anywhere near the resolution or dynamic range of the JPEGs – inexplicably! Bottom line: I’m very pleased with the image quality. The P7700, G15 and XZ2 aren’t as small; I think the LX7 is probably the most interesting option on your list because of the excellent and fast lens. Thank you for the reply! if you are very pleased with the quality then it really means something 😉 Now will look for it in local shops in order to handle it and see if it is really suits me. I know other cameras from my list aren’t that small. I was looking for a change for my too heavy combination of Nikon D60 + 18-135 Sigma lens as I’m taking my backpack and flying to Asia (Thailand/Cambodia/Vietnam/Laos) for several months common-life shooting trevel. All of these cameras are much smaller and lighter then my current kit =) But still something really pocketable while qualitative is more preferrable. The LX7 is probably the most interesting on your list because of its closeup capabilities and relatively fast lens. The RX100 has a great sensor, but IS isn’t the best and you’re stuck at f4.9 on the long end – which is rather restrictive. Safe travels! With all due respect to the other sites, one of the main differences here is that Ming is a top-notch working professional more than a reviewer. 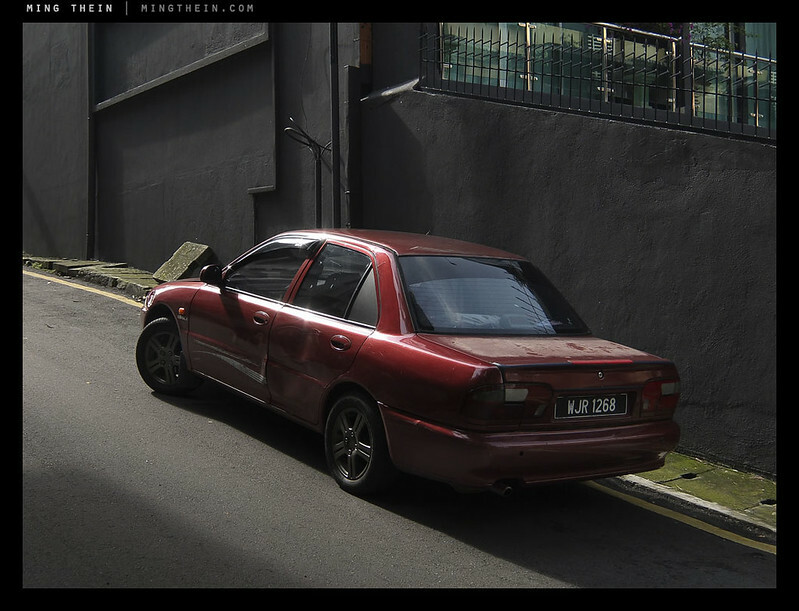 When he puts a camera through its paces, he does so in real world scenarios. And, when he prepares his reviews from the experience and reviews the resulting files he is not using a checklist, but he provides the benefit of his extensive professional experience. Personally, I take his comments to heart much more that I would of the more commercial sites. His reviews are based upon the real world, not clinical test conditions or criteria. Remember too, that no matter whether or not were are talking about high end pro gear or Sunday use cameras, there are variations in build quality. When I purchase lenses, for example, I always try to test more than one sample and choose the best. That’s why it is always a good idea to purchase from local or remote dealers with a reasonable return policy and test it yourself under your own shooting conditions. P.S. Best sharpness was for Olympus XZ-2 and RX100. Nikon P7700 with G15 were also pretty good. Thanks for the insightful hands-on. I am looking to upgrade my S95 to something that’s pocketable, with decent DR, and maybe a bit wider than 28mm. Your comment caught my attention about the RX100 3:2 sensor showing more FOV horizontally at 3:2 aspect than standard 4:3 sensors do with cropping. I would be grateful if you could explain this a bit more and how much wider. 26mm? This could nail my decision in favour of the RX100. Hard to say exactly, but I think the horizontal field of view of the RX100 is closer to 26mm. Note that the diagonal field of view for both remains their real 35mm equivalents. Just got a red XF1 for my wife as well. Nice design but agree with the tactile feel of the lens. Seems a bit light. ISO1600 is distinctly underwhelming and figured out a workaround for high ISO shots. Have set the EXR to the Signal/Noise setting for high ISO so I (or she) can just switch between P (DR400%) and EXR (which automatically sets it to the 6MP low light mode). Keep up the great and inspirational work with this site! Thanks Jack – I thought 1600 was okay, but I’m comparing it to the other small-sensor compacts out there. Thanks for a very understandable review. I had read about problems that Fuji has with RAW files, and your explanation helped somewhat. I thought the whole purpose of shooting in the RAW format, however, was to preserve the intergrity of the file — why does Fuji apply its proprietary converter algorithnms to the files (or is this necessary in some form)? I don’t know if there are algorithms applied to the RAW files; I think it happens after that stage either in the JPEG engine or their own converter software. 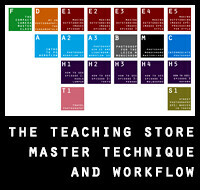 Adobe lacks this algorithm and that’s almost certainly the reason why the results aren’t on the same level. Thanks again … FYI, my profile is closer to your wife’s, so this is not a male/female thing! No worries. If I could get exactly what I wanted out of the camera, I certainly wouldn’t waste time in front of a computer instead of shooting! Is the XF1 made in Japan? There is no designation on the camera where it is made, unlike ALL the other X cameras. Wow! An X camera made in China. So much for Japan’s vaunted (and highly X promoted) quality. The camera body feels good, but the lens is much less impressive. Very light, with little substance behind it. Especially the lens cover. It really is light and too easy to move. Time will tell but I wish it had better quality to begin with. Ming, I stumbled across your blog by accident and wanted to tell you what good read it has been. You are one of the most talented working professionals I have come across. The quality of your work is consistently outstanding and I appreciate your devotion to teaching. The one “problem” that I see are the reviews of the many cameras that you test. You put them to their paces in everyday use and your superb talents make all of them look really good. This proves greatly that almost any camera in the hands of a good pro will product excellent results. 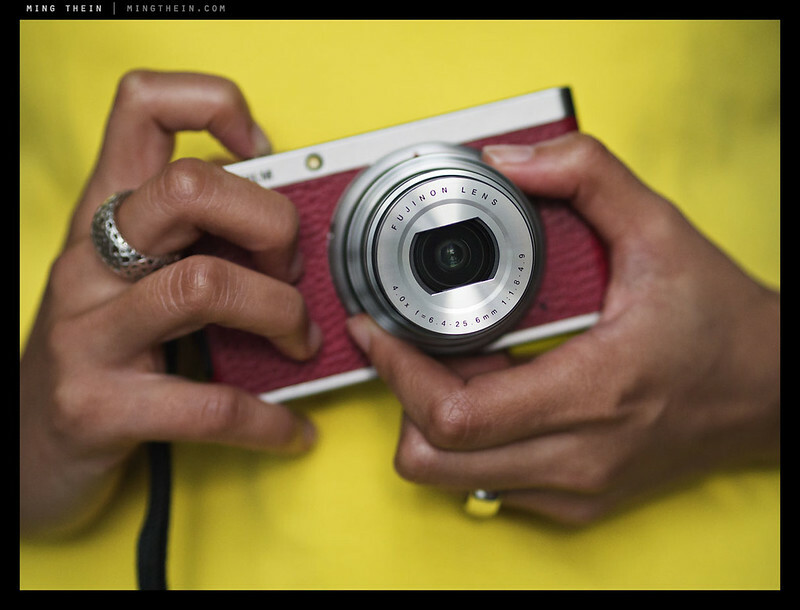 Sorry, I’m not reviewing the X-E1. Again: I can only review cameras that I buy or that are lent to me. Since nobody is lending me one, I’m not spending thousands on a new system and lenses just for a review. It makes no economic sense whatsoever because I don’t make any money from this site! Very interesting review. The resolution is so lopsided. 20 megapixels for the Sony against 6 with the Fuji (when shot in hardware dynamic range expanded mode). That’s just amazing how far behind the Fuji is. I guess for web use that is OK. I’ve seem some images from the RX100 that are just amazing and can be (should be) printed very large. You wont print much large with the Fuji, no matter how good they look. Fuji’s stupid beyond belief menu system has not improved a bit since the EXR system appeared. Just watch, there will be endless discussions on what mode does what, when and why is this “feature” disabled in this mode? It always happens with Fujifilm cameras that are EXR based. Actually, the 12MP mode of the XF1 is non-interpolated and delivers quite crisp detail; you shouldn’t have a problem making decent large prints – though obviously not as large as the RX100. The menu is better, but still somewhat confusing. Just avoid EXR mode and leave it in DR400. P.S. keep up the great work, your site is great! HI Ming, The FX1 sonds like a great pocket camera. Its exciting to read your review. For a sec, i thought i was seeing things? But i did notice a post that was taken down “Understanding autofocus, and tips for all cameras,” which might have been a great place to post the query. I hit the road a few weeks ago and spent 2.5 weeks in Paris and 4 days in NYC with my Oly5. What is clearly evident to me is that the images shot on my Oly5 with my Zuiko 12mm 2.0 and Zuiko 45mm 1.8 a heck of allot sharper than my Canon EOS 1D Mark III and I use L glass primes and zooms with it. And the Oly5 images are hand held too. I could contribute the sharpness to the 5 axis stabilizer or that there is no mirror vibration or that the lens is simply closer to the digital sensor or all of the above. I was wondering if you had insight as to why these images are so much sharper than my Canon EOS 1D Mark III (btw it and its lenses are correctly calibrated). Love to hear your thoughts. The OM-D focuses on the sensor, and has that stabilizer. The 1DIII doesn’t, and it also has a stronger AA filter. Add to that the Oly lenses being generally a notch above most legacy SLR glass, and you’re going to see better pixel-level acuity – I get better files out of my OM-D than the D700 up to about ISO 1600, and it’s well known that the D3/D700 sensor is at very least on par with the 1DIII. Seriously, the review is very insightful and I love that your blog has a good mix of technique, inspiration and gear. Keep up the good work! 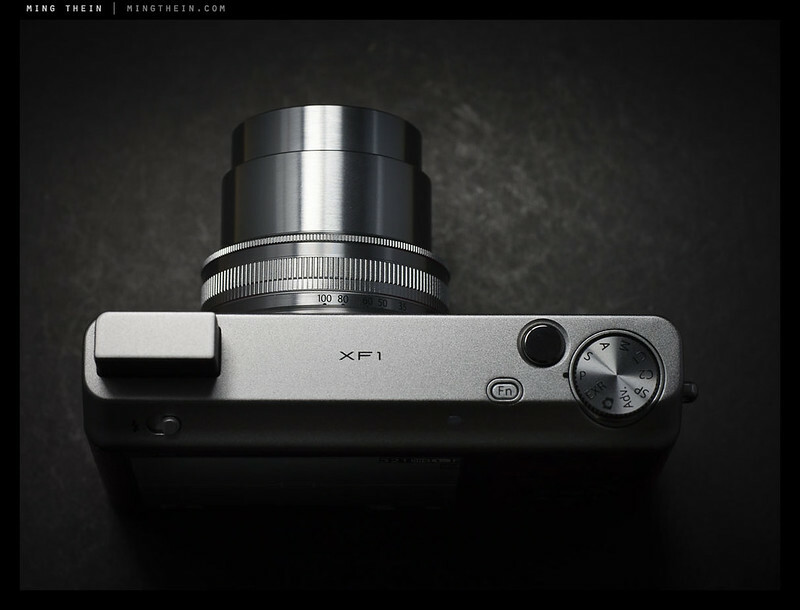 Thank you for your reviews of Fuji XF1. I bought one for my wife as an anniversary gift. I saw your scores at the end of your review, just wonder have you or in the future do a review on Leica D-Lux6 if possible. I am tempting to get this Leica D-Lux6. I understand both Lumix LX7 and Leica D-Lux6 as pretty much identical but one is German made optics. I might if I get a chance to shoot with one for long enough, but I’m not buying one just to review (!). Both are made in the same factory in Japan. The only difference with the Leica version is the cosmetics, the longer warranty, and Lightroom. Thank you for your reply. Of course, I did not ask you to buy one and do a review for us. Hope you’ll get a chance to play with one if Leica let you borrow one to shoot ;-). Anyway, thank you for your reviews as always. Great stuff. Leica has one here but getting it out for sufficient time to demo is the tough part, as is finding the time in the schedule to do it…I will ask. Please do ask Leica if you could. Much appreciated. Will contribute to your site using my Paypal. The little Fuji compacts from the F500EXR (or F505/500 if you wanted RAW) onwards have always seemed to be great value, with long-but-compact (15x!) zooms, ‘EXR’ modes (to choose between high resolution; high-ISO-with-low-noise; or wide dynamic range) and ‘Advanced’ modes including reduced-resolution 3-merged-stabilised-shots for very clear, pretty noiseless, stable pictures in very low light! They weren’t as ‘smart’-looking as the steel-&-leather-style XF1, and didn’t, or don’t, have such a wide wide-angle aperture (only around f3.5, instead of f1.8) but they’ve been very capable, unobtrusive, fairly fast response compacts, though rather scoffed at or overlooked by many. The Fuji menus have always been weird-looking, with strange blue highlighting (though changeable in a menu), but the little ‘FxxxEXR’ series have been astonishingly handy, from extreme close-ups (about 1cm in front of the lens) to good low-light capability, and with 24mm-360mm equivalent focal lengths ..but with a tiny sensor, of course. Generally, great all-rounders to drop in a jacket pocket! I used a number of the earlier ones – I had the original F10, actually – but felt they overdid the number of pixels, and the lens quality was at best so-so. Can’t go wrong with either – depends if you’re a raw shooter or not. I disagree on sharpness – the RX100 is pretty impressive, too. The photosite size is about the same on both cameras. Not used the 808. To simplify things again: if you’re a jpeg shooter, get the XF1. If you shoot raw, then the RX100. 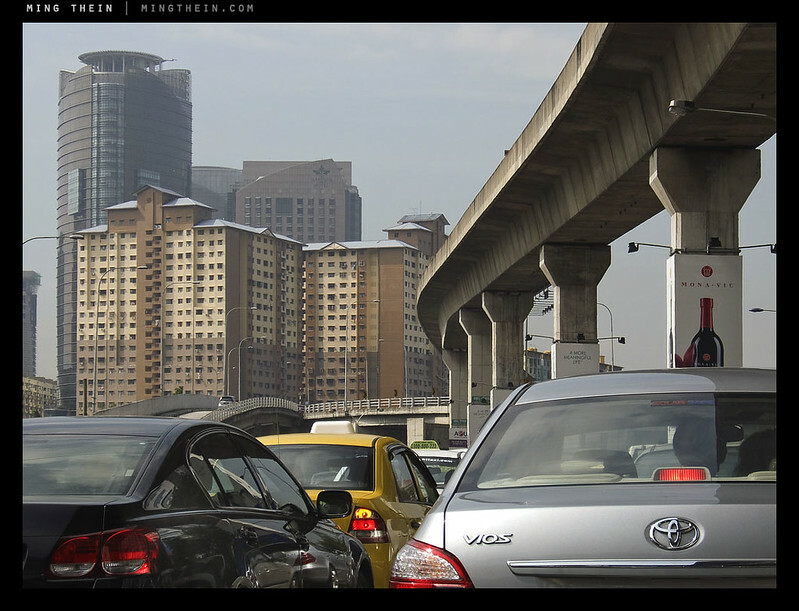 Dynamic range in raw is a bit better on the RX100, and there’s obviously the resolution advantage. Thanks for clarifying. I just picked up a lightly used LX3 so that might keep me happy for a while. The only thing holding me back from the RX100 is the 28mm at its widest (instead of 24mm or thereabouts) and, to a lesser extent, the price. 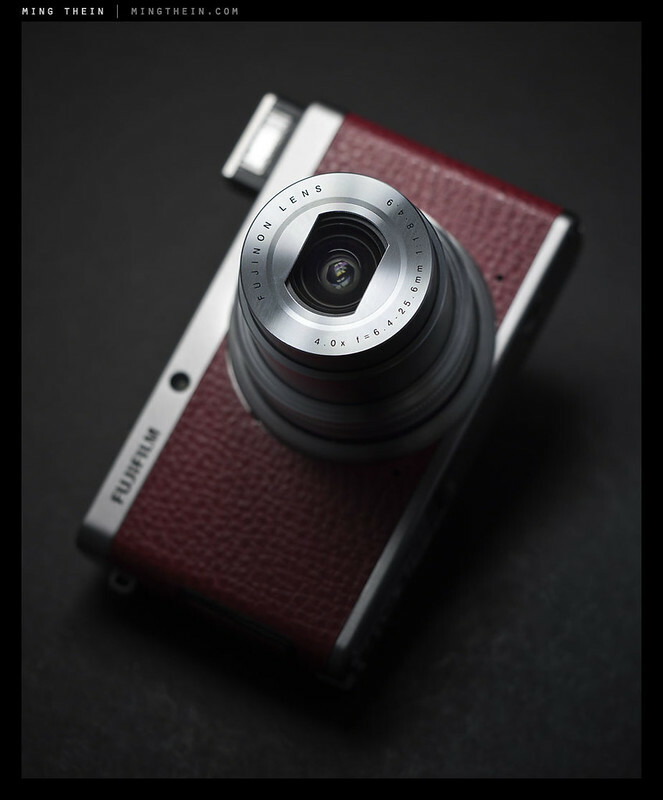 Curious if/when the other manufacturers start introducing 1″ compacts, but that might be at least a year from now, if not the next PhotoKina. The RX100 is a 3:2 native aspect not 4:3 like most of the other compacts, so it has a bit more horizontal FOV. 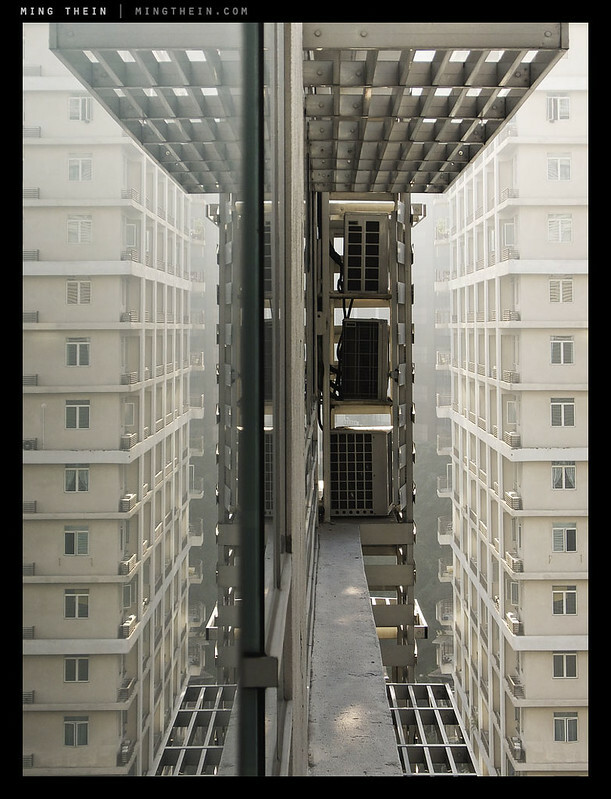 That said, the LX2 is 24mm diagonal at all aspect ratios, and actually gives you about 21mm horizontal FOV in 16:9 mode. 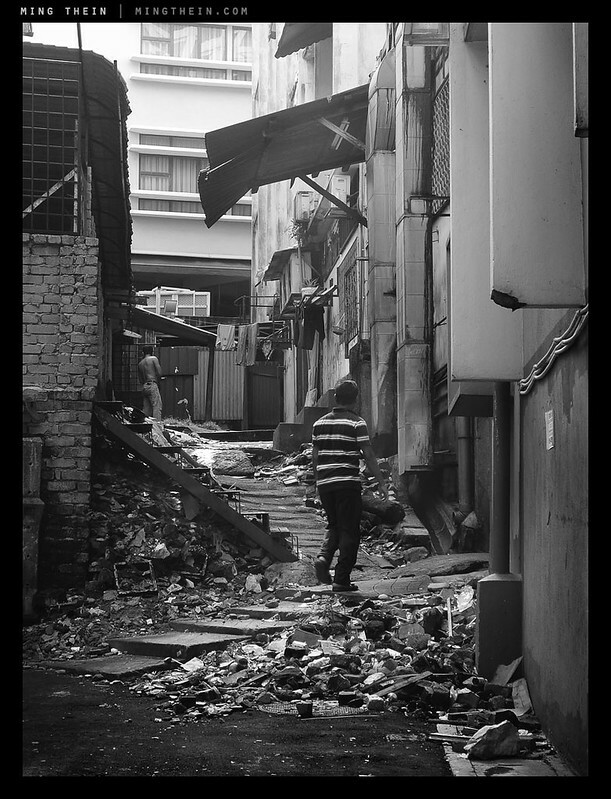 I really like your pics sharpness…how do you get it all on focus and sharp even with compact?? Thanks for reviewing this camera. What’s your opinion of its macro capabilities vs. the LX7? 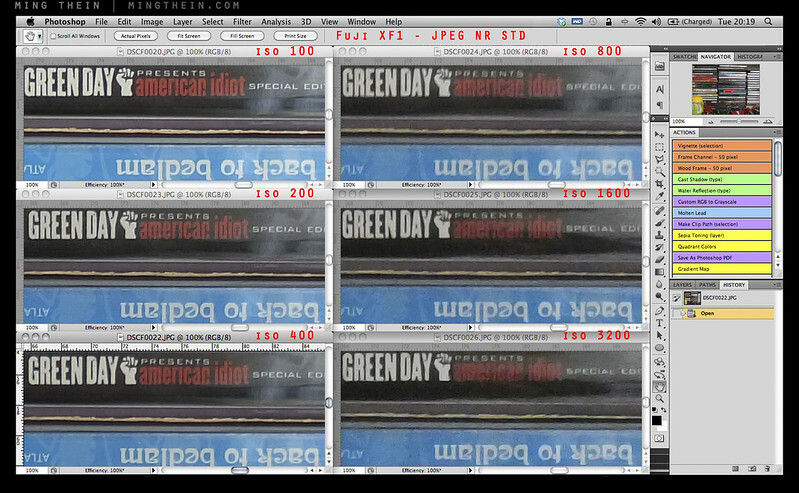 BTW, from what I’ve read, ACR doesn’t handle Fuji’s EXR RAW files properly. The sensor pattern is optimized for pixel binning, so adjacent pixels are exposed at different levels. Adobe doesn’t take this into account, so it just looks like extra noise. Also, not sure if you intended to do this, but all the photo links to Flickr are classified as private and are not viable. Haven’t extensively shot the LX7 do I’d rather not speculate – but that was one of the better compacts for macro work. Thanks for the heads up on Flickr, I hid the images before the review went up – will fix that once I get back to a computer. Did she like the gift?